Available in all stores Apr 19th 2019. 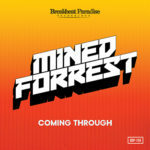 Breakbeat Paradise Recordingsis very pleased to welcome back the ElectroGorillawith his second solo release on the label. 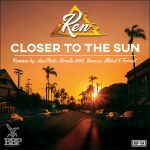 This time around he’s cooked up a full-length album of various block rocking beats with a good doze of electro funk elements. 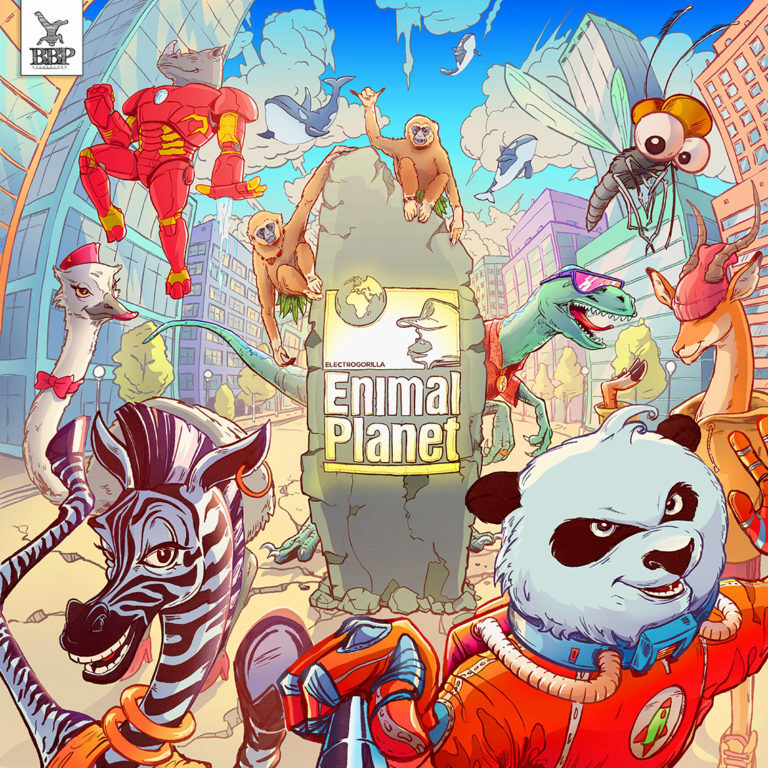 Each track celebrates different spices in the animal planet by pairing them with an appropriate funky groove and breakbeat which makes up what the ElectroGorilla called the: Enimal Kingdom. 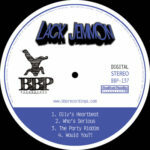 Since ElectroGorilla’s debute EP on BBP in 2015 he has been all around the funky breaks scene under various aliases. 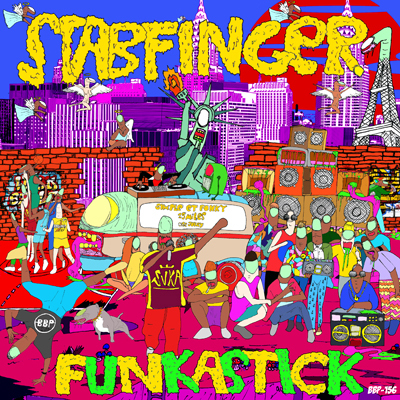 From TruFunk to Bomb Strikesunder the The Funk Fury and featuring on various compilations and releases on Future Funk under the name Synoptix. Now he’s back in the Gorilla outfit and boy did he bring along the funk this time! 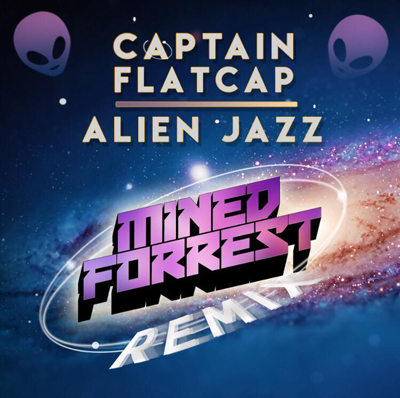 Each track is showing a new and more melodic side and a depth in the productions that are rarely seen in the assembly line electronic music scene these days. Demonstrated to perfection on the melodies and catching wobble basslines on Mosquito Lullaby and the progressive funky grooves on the Anteloop featuring Bob. The mellow sides of the spectrum are also being experimented with on tracks like Zebra Tribeand the beautiful Killer Whale Odyssey. ElectroGorilla has mastered to hard task of producing an all-round easy listing breakbeat album – which can be listened to on a Friday night as well as while chilling on a beach on a Sunday afternoon. We’re welcome all generations of breakbeat lovers to go on this journey with us to the Enimal Kingdom. Enjoy! 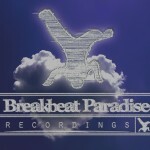 “Breakbeat Paradise have been a on a serious roll over the last year or so, consistently delivering us the freshest Breakbeat originals.They continue this theme here with great success as Electrogorilla unveils 9 new creations, all laced with energetic drum work and smart sampling to draw out that nostalgic feel we all love about Breakbeat. From the classic electro synth rolls of ‘Electrhino’ and ‘Mosquito Lullaby’ to the more eye opening, aquatic sounds and sharp percussive inputs of ‘Killer Whale Odyssey’, ‘Enimal Planet’ one holds something for everyone. Our highlights include the niche grooves and grizzly bass tones of ‘Lazer Panda’ alongside Shinder and of course the spacious ambience of ‘Zebra Tribe’. Buba King Support 8 Packing More Animal Sounds than Noahs Ark Funtastic!!!!! Breaks Ida Support 6 Nice one… Downloading for Sérgio Gomes | BREAKS lda. 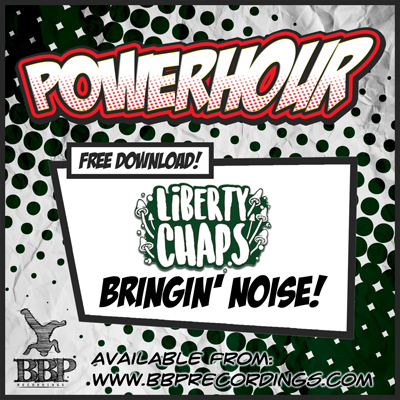 Liberty Chaps Support 8 Difficult to pick a fave but Mosquito Lullaby does it for us. DJ Durilliam Support 7 Lovin the vibes! Dmitry/Detach Support 9 Like this stuff. EG is big! 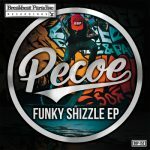 Pecoe is back to follow up on last year’s successful EP drop – with yet another banging 4-track EP showcases some new production skills from the notorious beat master and maskup champ Pecoe. On the Funky Shizzle EP – Pecoe is taking us on a journey thorough beats and breaks – from funky sounds via some reggae vibes and over to some dancefloor heavy street jams. 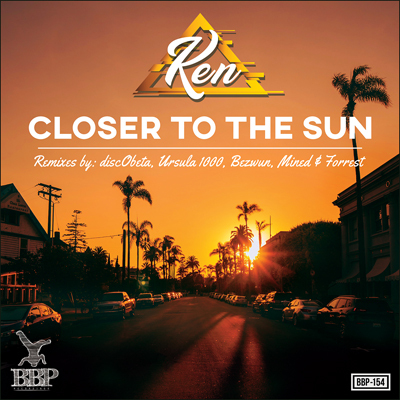 Pecoe has one of the most sought after soundcloud pages for funky mashup but on this release, he is taking a more serious approach on the productions and spicing it up with just enough classic samples to keep it interesting. 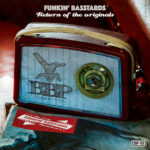 The EP kicks off with the Funky Shizzle, which features some serious funky grooves and some banging beats. This is followed up with a badass twist of a classic on the Delight jam before turning on the smoothness on the High Ground track, which also adds a new twist to a classic joint. Things are ending with a banger on the Game Face jam, which delivers some big beats and rolling basslines to keep the dancefloors moving. 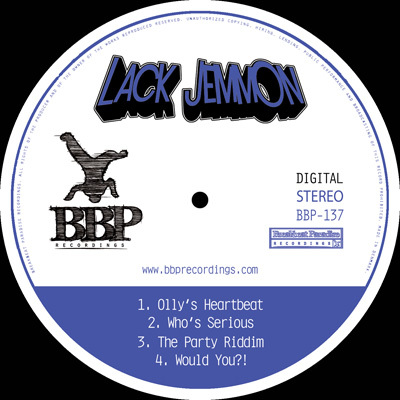 Yet again Breakbeat Paradise Recordings keeping it funky on those dancefloors across the globe this summer. More badass funky grooves are coming soon. Stay tuned. Breaks Ida Support 7 Great. Dj Wash Support 10 nice one! Dj Rehab Support 7 Nice funky party vibes. BMD Support 7 Excellent groove, especially in the title track. Clan Dextine Support 10 What a set full of efficiently working funky party tools – will be always in the top shelf of the box! Toy Beats Support 9 Pumpin’ sounds Pecoe! Favourite is Funky Shizzle. Psychotropic Frequencies Support 10 Man like Pecoe nails it again, great work Funky Shizzle 4 sho! Bezwun Support 9 Dope production, love the concept behind Delight, and Funky Shizzle is a perfect opener to the Ep. DJ Durilliam Support 7 Awesome EP, love the nice mellow vibes. Mr Rich and the Caretaker Support 8 Love Pecoe and his work. Funky Shizzle is my fave..seeing as you made me pick!! Johnny Beats Support 10 Peace stepped up the game with this album.. Defiantly put the Game Face on…. Roxright Support 9 Pecoe really did bring his Game Face and packed that Funky Shizzle into this release. Smooth, silky, phat and funky. Solid!